Anna Rockets – MidwestAthleticConference.com – The Official Site of the Midwest Athletic Conference for mac news, mac scores and more. Please download the ScoreStream App on Apple or Android phones to help keep the scoreboard updated throughout the night. You can also text over score updates to 419-230-0241. The MAC was represented by multiple student athletes on the 2018 OPSWA All-Ohio Football Teams. Running Back: Riley Huelskamp, Anna, 5-10, 175, Jr. Wide Receiver: Nick Tangeman, Maria Stein Marion Local, 6-4, 175, Sr. Defensive Back: Matt Rethman, Maria Stein Marion Local, 5-11, 155, Sr.
Running Back: Zach Niekamp, St. Henry, 6-1, 195, Sr. Offensive Lineman: Payton Lange, St. Henry, 6-3, 220, Sr. Kicker: Blake Dippold, Coldwater, 5-9, 190, Jr. Offensive Lineman: Reece Eifert, Maria Stein Marion Local, 5-10, 200, sr.
Special thanks to Robb Hemmelgarn for compiling the statistics. 5 MAC schools are ranked in the Final Weekly 2018 Ohio AP State Football Poll. Anna is ranked 7th in Division V. Coldwater is ranked 2nd, Marion Local is ranked 3rd and St. Henry is ranked 6th in Division VI. Minster is ranked 8th in Division VII in the Final Weekly 2018 Ohio AP State Football Poll. 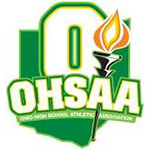 The final weekly OHSAA Football Computer Rankings were released and 5 MAC schools are in the top 8 in their region and moving on to the playoffs. The 5th weekly OHSAA Football Computer Rankings were released and 6 MAC schools are in the top 8 in their region. 5 MAC schools are ranked in the 7th Weekly 2018 Ohio AP State Football Poll. Anna is ranked 7th in Division V. Marion Local is ranked 1st, Coldwater is ranked 6th and St. Henry is ranked 9th in Division VI. Minster is ranked 9th in Division VII in the 7th Weekly 2018 Ohio AP State Football Poll. 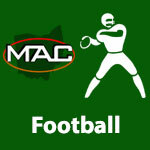 The 4th weekly OHSAA Football Computer Rankings were released and 6 MAC schools are in the top 8 in their region. 5 MAC schools are ranked in the 6th Weekly 2018 Ohio AP State Football Poll. Anna is ranked 9th in Division V. Marion Local is ranked 1st, Coldwater is ranked 3rd and St. Henry is ranked 13th in Division VI. Minster is ranked 10th in Division VII in the 6th Weekly 2018 Ohio AP State Football Poll. The 3rd weekly OHSAA Football Computer Rankings were released and 6 MAC schools are in the top 8 in their region. 5 MAC schools are ranked in the 5th Weekly 2018 Ohio AP State Football Poll. Anna is ranked 14th in Division V. Coldwater is ranked 1st, Marion Local is ranked 2nd and St. Henry is ranked 12th in Division VI. Minster is ranked 8th in Division VII in the 5th Weekly 2018 Ohio AP State Football Poll.